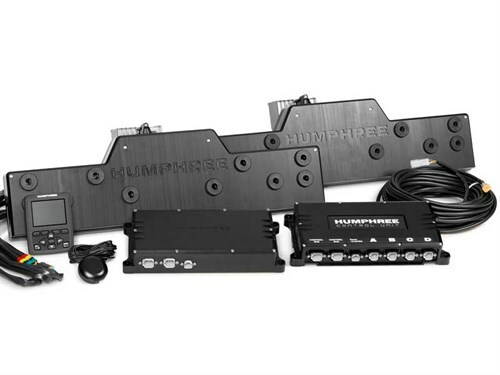 Volpower NZ Limited has announced it will distribute the Humphree range of trim and boat control stabilisation systems. Swedish based Humphree, founded in 2002 is the world’s leading manufacturer of Interceptors or "super tabs" as they are commonly known and are used for trim and stabilisation of semi-planing and planing hulls. Humphree is leading the way with new automatic functionalities developed by their dedicated team of marine engineers, hydrodynamic experts and boat operators for a single purpose; to provide the very best in hull dynamics and boat control. An increasing number of products in Humphree’s exclusive portfolio involve innovative use of interceptors; systems for optimising vessels’ running trim, reducing pitch and roll motion, and steering alternatives to waterjet bucket deflection. Newly introduced is the X-Series range of interceptors, which will soon be available for the New Zealand market. Interceptors in general are an efficient device to optimise running trim for low wave resistance, reduced fuel consumption and improved performance. The Humphree Interceptor has a low weight and a robust design. It is suitable for both mono hull and catamaran application, in planing and semi-planing speeds. The installation is easy, with a minimum of pre-work needed, and with low maintenance due to the corrosion free materials and simple design. Interceptors are powered by a watertight, state of the art electric actuator, placed on the inside of the transom for easy access and excellent protection. The new X-Series is intended mainly for boats from 24 up to 60 feet and is available in four sizes from 300mm up to 750mm depending on boat length and propulsion system. All providing the powerful 50mm stroke needed for superior control of dynamic hull motions. Humphree also has a range of Interceptors for vessels up to 180ft. The new range of Humphree Interceptor tabs will be on display at the Auckland On Water Boat Show, September 29 – October 2. Stand 117. Technical experts from Humphree in Sweden will be on hand to talk with boat builders and designers about how Humphree systems can benefit their next build.